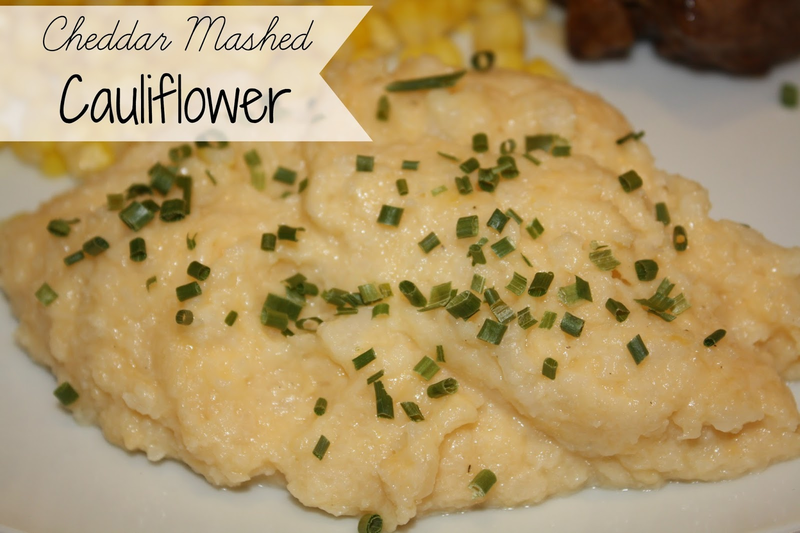 I had been wanting to try mashed cauliflower for a while and I found this recipe at Rachel Scultz. This is SO easy and was really good. I like cauliflower, but this is definitely a more enjoyable way of eating it. I didn't add as much cheese as the original recipe so I could slim it down a little bit. 1. Cut the cauliflower into florets and boil f0r 6-7 minutes. Use a fork to make sure they are tender. 2. Strain the cauliflower and blend it in a food processor or blender until it reaches your desired consistency. Add in the cheese, salt, and pepper and process until mixed. 3. Top with chives, if desired! This was a great side to go with steak and corn on the cob! A fourth of the recipe is approximately 118 calories! This looks so delicious! I absolutely love cauliflower, I usually just roast it to give it lots of flavor or use it in casseroles, but this looks like such a delicious way to make it! Thanks for sharing, I'll definitely give this a try!!! Let me know how you like it - I really enjoyed it. Definitely a great way to enjoy cauliflower! I have never roasted it, I need to try that. Looks yummy! My kids love cheese so this looks like a clever vegetable disguise. Visiting from Tatertots and Jello. Tell them they're mashed potatoes - maybe they won't notice! !